Can u predict if these windows are facing each other or are they in opposite direction.. 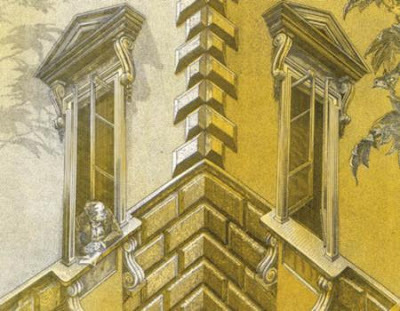 I think they are facing each other because above the window on the left there is a shadow of the leaves which are above the right window. So i think they are facing eachother.